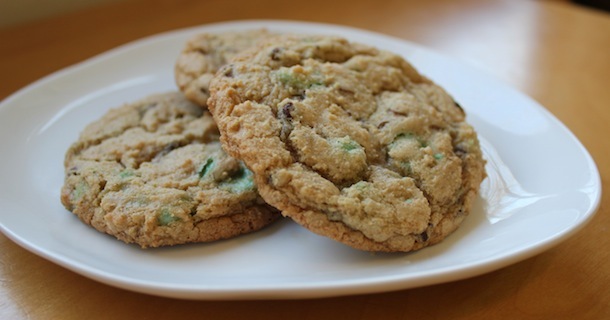 I saw Guittard green mint chips at the new grocery store near our house so I snagged a bag and decided to make a fairly classic chocolate chip cookie with mostly green mint chips and to polish off the half-bag of miniature semi-sweet chocolate chips I had sitting in the freezer. 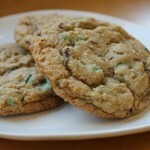 These would have been good cookies in March, wouldn’t they? 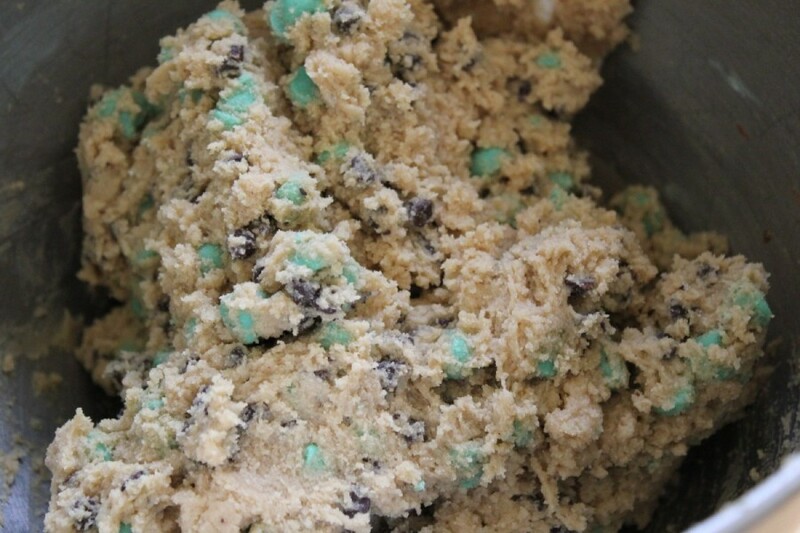 Green mint chip cookies. 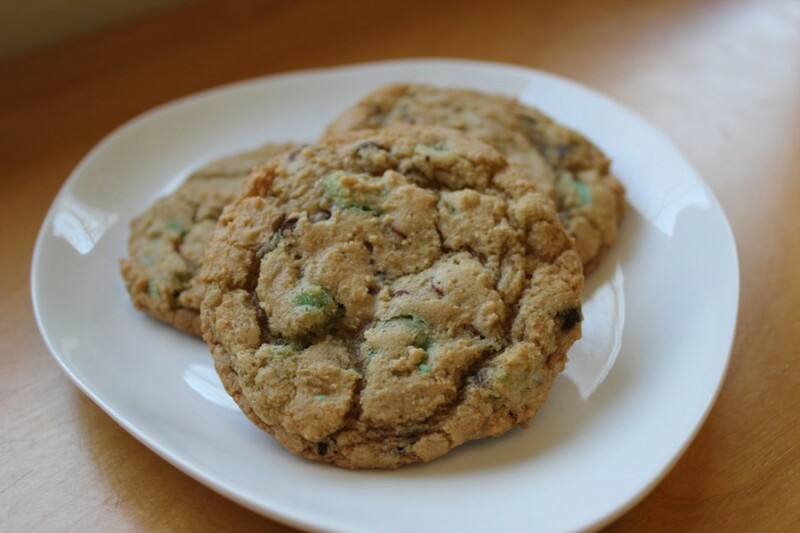 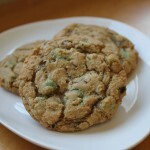 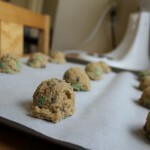 Quick and easy recipe for cookies using green mint chips and optional chocolate chips. 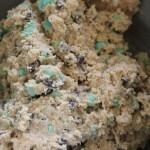 Add eggs, coffee extract and milk and beat just until blended. 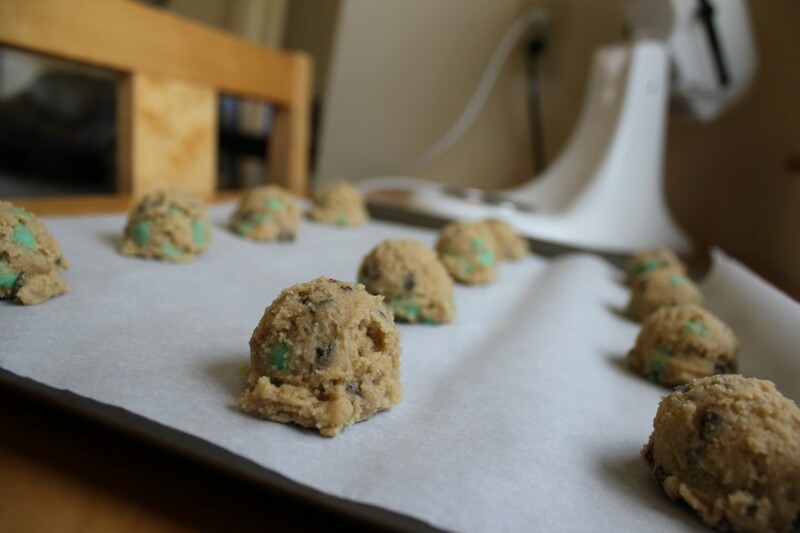 Bake at 350 degrees for 11 to 12 minutes.